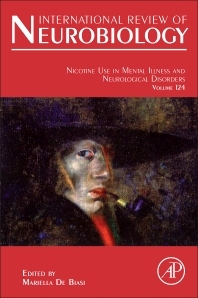 Nicotine Use in Mental Illness and Neurological Disorders, a volume in the International Review of Neurobiology series, is a comprehensive overview of the state-of-the-art research into nicotine use in mental illness and neurological disorders. It reviews current knowledge and understanding, also provides a starting point for researchers and practitioners entering the field. People working in basic neuroscience, neurology and psychiatry; medical doctors and care givers.